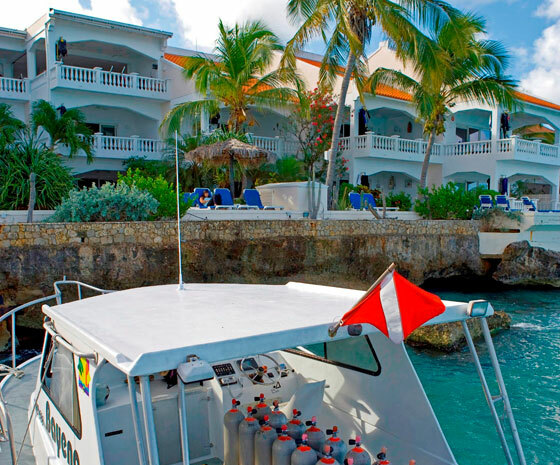 With as many as 60 officially listed dive sites on Bonaire and another 20 dive sites on Klein Bonaire, the dive operation at Belmar Apartments is geared up for you to make the most out of your dive vacation. A small and intimate resort with a colorful garden and of course, spectacular ocean views wrapped around terraces and balconies. Take leave of your everyday stress and step into an exclusive resort that refreshes your body and soul! Now we have made it even easier, try our Drive, Dive and Stay packages and Surf Away Packages. Or any one of our three diving packages – unlimited shore diving, 1-tank boat dives, or 2-tank boat dives. 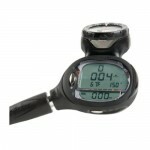 Not to worry we have non-diver rates as well. 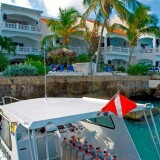 Belmar Apartments is beautifully located attached to the most clear blue waters under the Caribbean Sun. Touched by a nice cool breeze all day long. As the Sun set across the azure seas, it colors the blue sky with the most amazing golden glow and maybe even a green flash…. Belmar Oceanfront Apartments offers top notch accommodations for scuba divers, sun worshipers, snorkelers, nature lovers, and “take me away” vacationer. Enjoy shore diving from our resort anytime of day. Belmar offers 20 apartments with one, two or three bedrooms as well as a two-bedroom penthouse. All include fully equipped kitchens, air-conditioned bedrooms, king, queen or twin beds with rattan and tropical décor. Apartments have cable TV and CD music centers, ceiling fans throughout, telephones and room safes. Housekeeping is provided and all units have furnished ocean view patios or balconies. Bonaire’s sea abounds with beautiful marine life and a fascinating variety of multi-colored tropical fish. 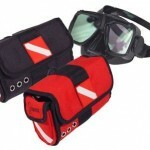 The sea is remarkably calm and conditions are superb for both scuba diving and snorkeling. On average, Bonaire’s visibility exceeds 100 feet (30 meters) and our average water temperature is 80 degrees Fahrenheit (29c). The fringing reef begins close to the shore, usually a short 30 foot (10 meter) swim or less, making Bonaire world renowned for its ease of shore diving. Bonaire’s waters offer something special for every diver. 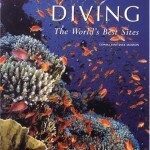 Novice divers will appreciate the calm waters, reefs that run parallel to shore, and minimal currents. These conditions make it an ideal location to really work on improving those buoyancy skills! And the abundance of marine life living along the shallow drop-off area of the reef slope allows for maximum bottom time, while giving new divers an opportunity to develop a level of comfort and confidence in their newly learned skills. Read more about Belmar Oceanfront Apartments at the Dive Resort Listings pages.